Electrolux Discover-E Food Festival: 6 Ingredients that Made it a Success! Are you a NomNom Club reader and a #foodie who likes to take photos and share them on Instagram, Twitter, and Facebook? Did you know that the Samsung #GalaxyMega phablet‘s 8MP camera and smart settings can give you full creativity in making it a winning food shot? Then you’re in for a treat as your creative skills in food photography can be rewarded with a brand new spanking Samsung #GalaxyMega with a 5.8″ large display for all the world to see and dual sim to boot worth about P16,990! 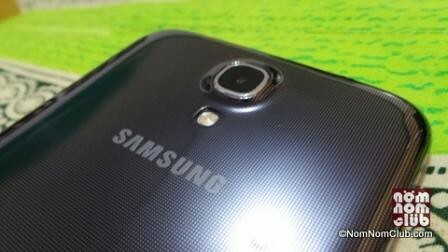 See the detailed specs of the Samsung Galaxy Mega here. Like and publicly share this post in your Facebook account and tag four of your friends including http://www.facebook.com/NomNomClub on FB so we can monitor. 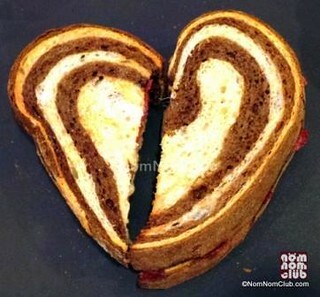 Since this is a gveaway for NomNomClub readers, you should be an email subscriber of NomNom Club. If you are not, you can enter your email here. Shoot 3 of your most creative food photos and publicly upload them on Instagram or Twitter or Facebook, or in ALL OF THEM within 7 days anytime from July 29 upto August 8, 2013. 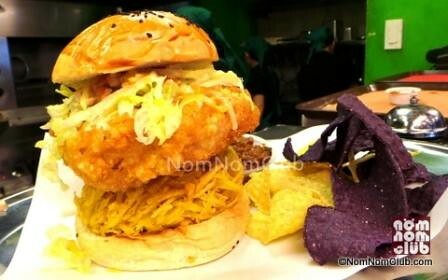 Share your experience / adventure about the photo and include the hashtags #GalaxyMega #FoodPorn #NomNomClub and tag @SamsungPH and @JonelUy. Once you are done with all your 3 photo uploads or more, create a Facebook Note or Facebook Status with all your 3 URL links indicated with hashtags #GalaxyMega #NomNomClub and tag @SamsungPH, @NomNomClub, @JonelUy for judging on Aug 9-11, 2013. Finally, post your Name, Email, and the URL link of your Facebook Note / Facebook Status at the comment section so we can contact you back in case you win. Yey! A food photo is defined as a photo with food in the picture. 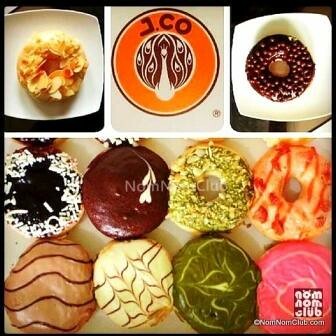 This means you can make it a collage of small photos like the J.CO Philippines Donuts collage below or even a #selfie food photo shot like mine with the new Greenwich PIzza THINS. You can submit different sets of 3 photos for each of the social networks IG,TW, and FB (but only 1 photo set from each social network). This means you can send a maximum of 3 photoset entries and get more chances of winning! The most creative set of 3 photos with minimal photo-editing would be chosen and announced through a blogpost in NomNomClub.com anytime from August 9 to 12, 2013. The judges decision within bounds of the mechanics is final. Although this contest is open to anyone in the Philippines, the winner should be able to claim the prize in any SM Mall in Metro Manila where the meetup and prize turnover would happen a few days after the announcement. Take the Samsung Galaxy Mega 7-Day Food-Photo Challenge and bring home the Samsung #GalaxyMega smartphone! question – do the pictures have to be new pictures or can we use old pictures? Preferably new photos, but old ones also can do as long as it was not used for other contests before. 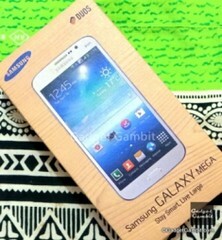 Question: Should we be using the Samsung Galaxy Mega to join the contest or any mobile phones? Preferably a Samsung Galaxy Mega. Any camera? Any size and orientation? Yes, any size and orientation would do. Hello! Must we take photos using only a mobile phone? For those who participated in the past using the older hastags, that’s ok, they are still valid. These are for the new ones participating moving forward. Thanks for participating Cates, However, you missed Mecahnics number 5. The link you should post here should lead to the Facebook Note with the three previously uploaded photos/links OR a Facebook Status that contain the three URL links of the uploaded photos. Thanks for your entry Charissa. God bless on the ECE board exam Lorraine! Here is my official entry to the Samsung #GalaxyMega 7-Day Food-Photo Challenge! And here’s the link to Facebook note about my 7-Day Food Photo Challenge adventure! Wow, you took the challenge to your own level with your own “Cook my own lunch'” theme! Thanks for the entries Althea! Thanks for the entry Beda! 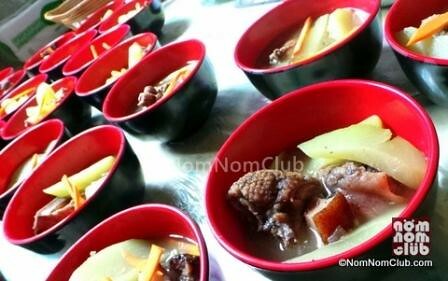 Nice mom blog zowanderer.com. Thanks for the entries. I took on the challenge, thank you! Hurray for another awesome 7-photo entry! Loved the last four photos. As a social media consultant, I’m always on the lookout for good lifestyle blogs for @BloggerCircles blogger campaigns. I hope to work with you in the near future. Saw Love Desserts in Banawe once. Iana, your webstagram settings is set to private. The posts should be public. I was notified through your Instagram tags though. Clear, crisp, photos with awesome angles and composition. Thanks Rachel. I hope you enjoyed your ‘adventure’. note: my first entry is via Instagram as posted previously. Nice 2nd set of entries. Nice one with the baked tahong Aylin! Three simple shots, but with very strong impact indeed. Awesome Bataan resort photo Agnes! Hello po Sir Jonel! Ang gaganda po nung entries nila. Parang wala akong panama pero ito po yung Entry ko. Sana enough na yung creativity para manalo ako. Salamat po Sir sa Giveaway. God Bless po! Noted. I love the glutinous riceballs! My third entry, using Facebook as my platform. And then there was a third set! Very good photos as well, almost as good as the 2nd set. Loved the pinoy dishes and yummy desserts Alwin! 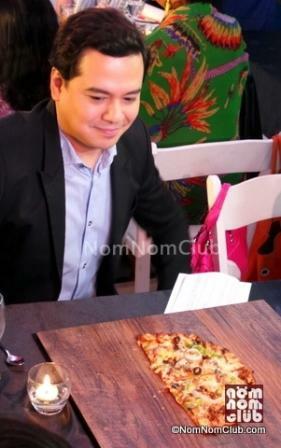 Nice photo editing, insync sa food concept. Great! I saw it above (several comments above). Yes, it’s the same entry as above. Thanks! All in one ang tags! 🙂 Nice photos as well. Collected over 50+ complete set entries and almost 200 photo uploads with the hashtags!